Criterion increased the size of its position in athenahealth, Inc (NASDAQ:ATHN) to a total of about 860,000 shares by the end of 2012. The healthcare billing and records software company reported double-digit growth rates in both revenue and earnings in the fourth quarter of 2012 versus a year earlier. However, the valuation is very aggressive- the stock trades at 60 times forward earnings estimates- and 34% of the float is held short as many market players think the price is too high. 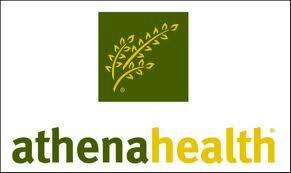 Robert Joseph Caruso’s Select Equity Group was the only other fund we track to have more than $20 million invested in athenahealth, Inc (NASDAQ:ATHN). Lord and his team more than doubled their holdings of Palo Alto Networks Inc (NYSE:PANW) and closed2 2012 with 1.1 million shares in their portfolio. Palo Alto Networks Inc (NYSE:PANW) is a $3.7 billion market cap provider of networking and communications devices and software. It too is very expensive in terms of its bottom line: analyst consensus for the fiscal year ending in July 2014 implies a forward P/E of over 100, and even that figure is based on earnings per share doubling in that year compared to this one. The company has been delivering strong revenue growth, but we still think that we would avoid it for now.